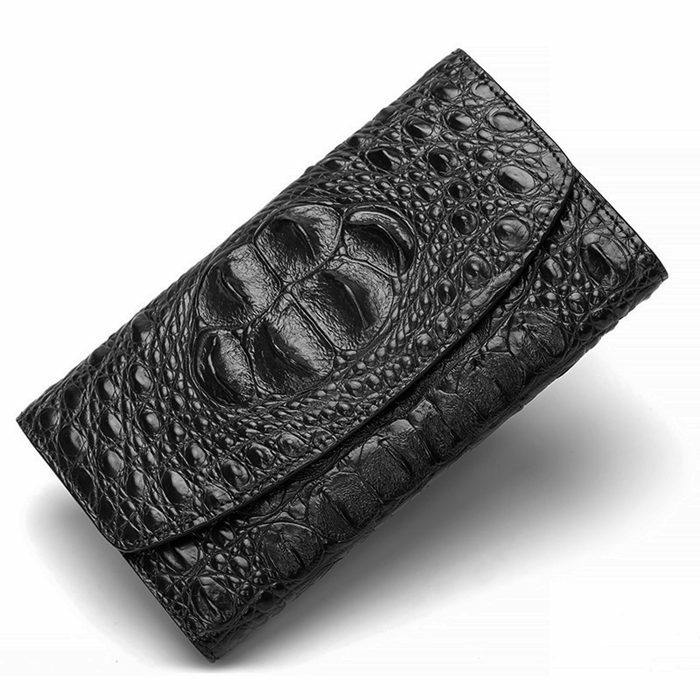 There are numerous styles about crocodile wallet but we often do not know which is good when we purchase it. 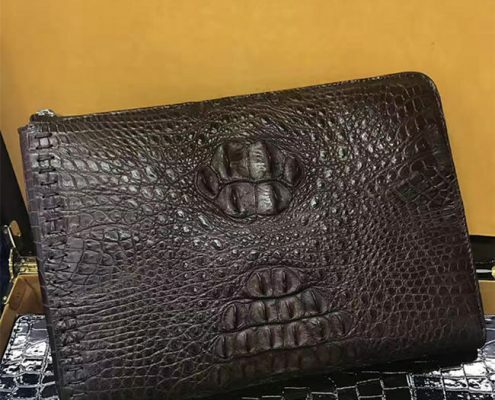 Let’s give some tips for buying Men’s crocodile wallet. 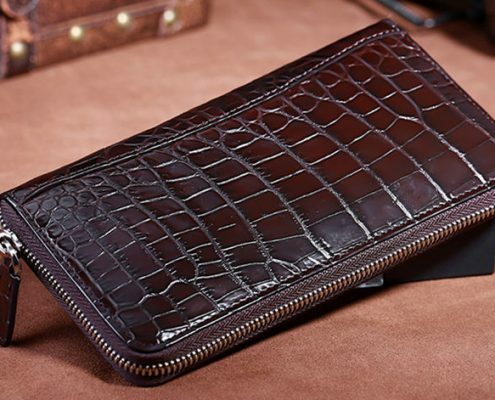 Men generally choose long crocodile wallet or short wallet. By comparison, the short one is relatively easy to carry, but the capacity is not large. The quantity of money stored in is not enough but it is fine to put the bank card and ID card in it. However, the long wallet, with a large capacity, looks more dignified and fashionable than the short one. The disadvantage is not easy to carry. Short or long, which requires people to make choice to meet own needs! 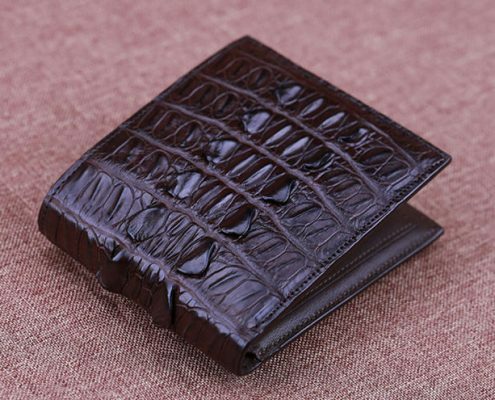 The colors of men’s crocodile leather wallet are few and the basic colors are black, brown, coffee, blue and grey, but according to the market survey, black and brown are most popular, because the meaning of blue is not good and is considered to be the loss of money. 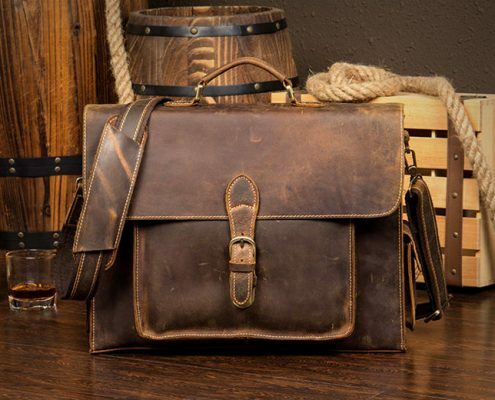 Considering the collocation of color and the characters of men, I think that black and brown are the most suitable colors with showing man’s steady, dignified, elegant and gentle temperament. 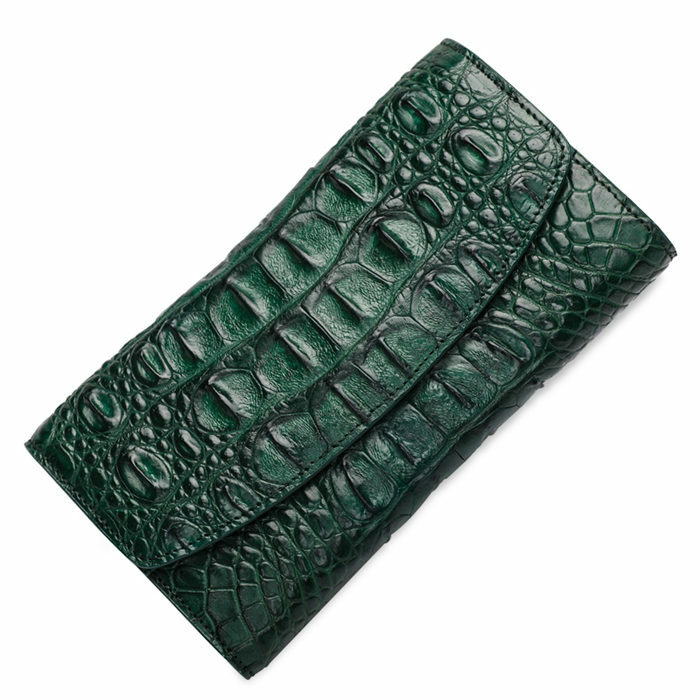 Various occupations make the difference of the natural choice of the crocodile wallet. 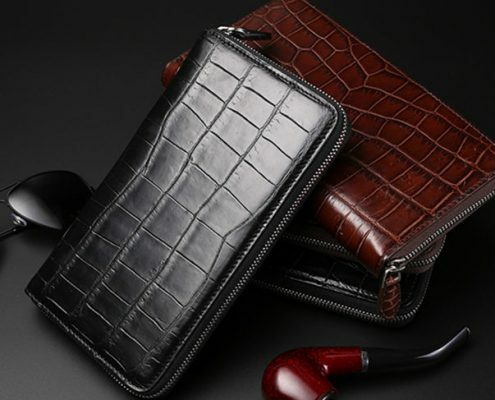 If you are a businessman who often attends to some high-level places, it is better to select dignified, delicate and classic style of crocodile wallets. If you just use it in daily life, choosing a cost-effective one is fine. 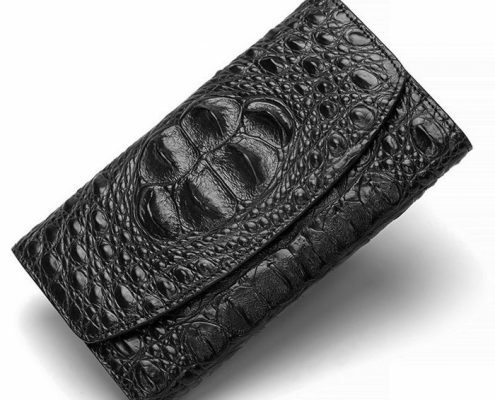 The crocodile wallet is better for showing man’s maturity and extravagance than other materials of wallets, hence it is suitable for the elder one. Black and brown wallets are main used. As for a young man, the editor suggests to choose some new styles and bright colors, so as to keep your imperturbable quality and vitality and show your elegance and fashionable tastes. The shopping habits of men are very different from those of women. 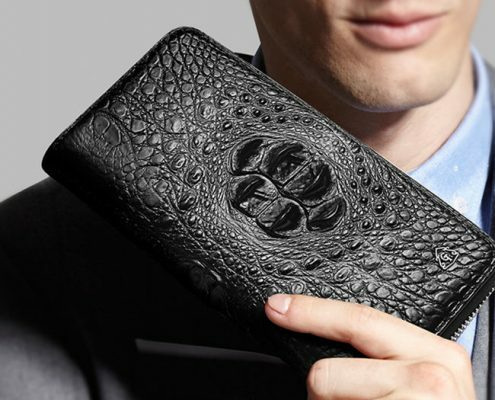 Generally speaking, men are shopping less but efficient, so the editor suggests that man can choose the famous brand of the crocodile wallet as much as possible. The best – known brand wallet is not only of good quality but provides good after – sales service and convenient later cleaning care. The Italy brand VANGOSEDUN is very good. 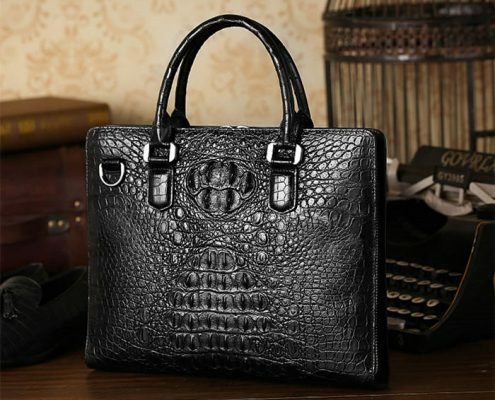 Crocodile leather wallets are different on the crocodile varieties, the leather parts, leather materials and workmanship, so the price varies. 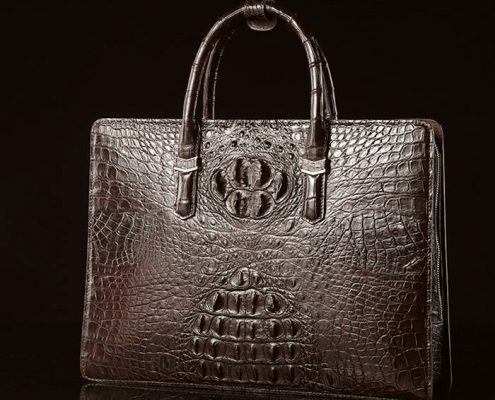 Choosing for luxury collection or daily use depends on their needs. The editor thinks it is a right decision to choose the decent and durable one and only buy what is proper but not what is expensive.